KONUS round comprising antitank guided missile is intended to destroy, when firing from tanks, stationary and moving modern armoured targets with combined, carried or monolithic armour, including ERA (explosive reactive armour), and also against pinpoint targets like weapon emplacements, a tank in a trench, light-armoured objects and helicopters. Developed by the State Design Bureau Luch in Kyiv, are series produced by the Artem State Joint Stock Holding Company, also based in Kyiv. The Luch Design Bureau has developed one more tank gun round, designated KONUS, which is optimized for 120mm standard NATO tank guns. The KONUS guided missile is built as a unitary round of the same size as NATO standard tank gun munitions, and it can be loaded into the tank gun’s carousel-type automatic loader together with all other round types used by the gun. The KONUS can be reconfigured for NATO-standard 120mm guns, which could help it to find markets in NATO countries and also would boost its export potential. 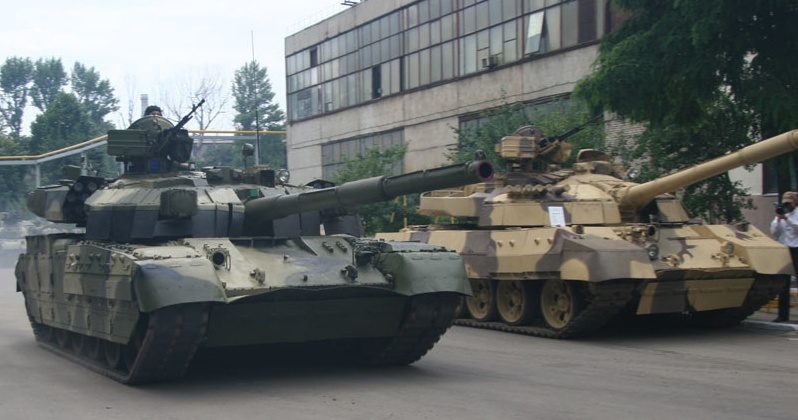 KONUS has already been tested on the T-84-120 YATAGAN main battle tank with the KBM2 L50 smoothbore gun of the 120mm standard NATO caliber. The KONUS has tandem shaped-charge warhead capable of piercing through 700 mm of RHA (Rolled Homogenous Armor) behind explosive reactive armor, using the guidance technique analogous to the KOMBAT’s. Can be used when firing from tanks Т-84-120, Т-72-120.